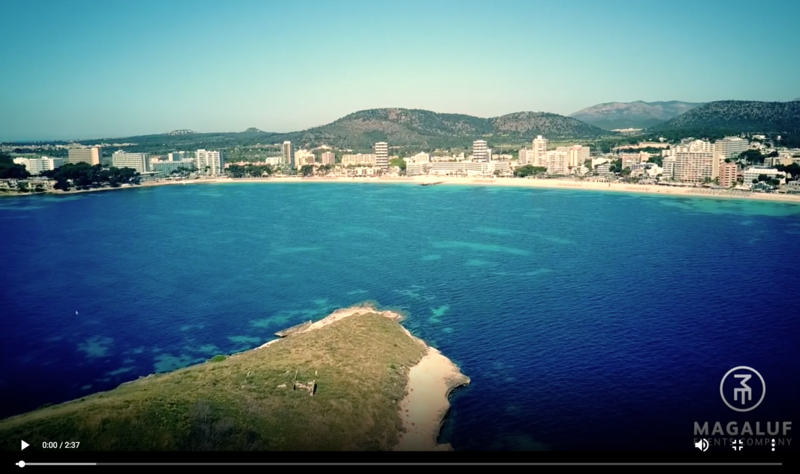 Welcome to Magaluf! If you're here to party to non-stop from the moment you arrive to the moment you leave then look no further than the £99 Ultimate Package! This has been Magalufs most popular events package for the past 3 years and it's easy to see why! Join 5000 other people each week on its 2 incredible day events, 5 awesome night events! Looks like your holiday just got BIGGER! Don't forget your Revolution-VIP wristband is also included- this will get you discounts/ exclusive offers and VIP deals all holiday is also included! 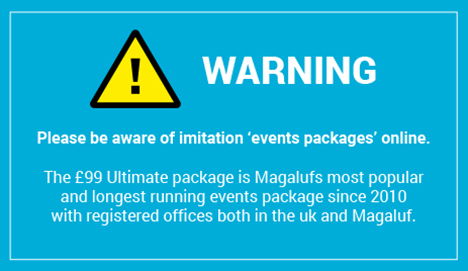 The Ultimate Package will save you over £191 euros compared to buying events when you get into resort! So what you waiting for? The Ultimate Package will make sure this is a holiday you'll never forget! Contact our team today to discuss your events week! It’s Simple!! You decide which day & night you want to do which event. It couldn’t be easier! Just turn up at the event meeting point and hand your ticket over to your ultimate package rep! Magas biggest boat party! 2 Live DJ's. Free t-shirt and exclusive 'Shipwrecked' After party! A night of your choice at Magaluf's biggest nightclub (includes Foam Party, and live acts). At Magaluf's biggest club. 5000 people. Don't miss this Thailand style beach party! Fire breathers, Neon Paint! Includes free paint and party reps.
At Magaluf's biggest beach club. VIP party hosted by Radio1. Your official resort wristband will get you exclusive deals and offers in many bars & restaurants. What happens after I buy the Package online? please see above in our three step diagram. Is the ultimate package available in resort? This Package is not available in resort. Some of the events can be purchased in resort but as you will see from the savings calculator they are much more expensive. 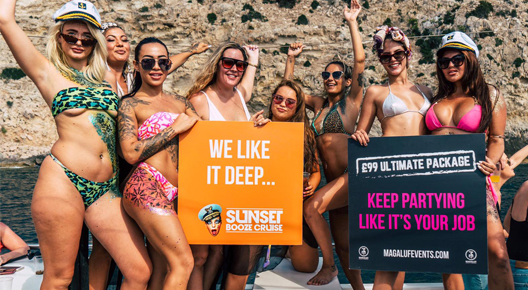 Several events such as Sunset Boat Cruise, MCP and the Full Moon party are often sold out well in advance meaning tickets will not be available in resort. Where do I come to with my e-ticket and remaining balance? Our main ticket stand is next to Linekers bar just off the Magaluf beach. Just keep your eye out for Pizza Hut and we are right in front of you! Call Tim on the help line number with any problems. Do I pay the remaining balance in pounds or Euros? What happens if I miss an event? If you miss an event we will always try and arrange for you to go on another day. Please get in touch with one of our reps in this instance. My first event is booked for the night I arrive? How will I get my tickets for this. how will I get my tickets for this. If you have booked on for an event that evening just drop us a message and we can either meet you at the main ticket office or we can drop the tickets off to you at your hotel. If I was not able to attend Magaluf would I be able to receive a refund? As soon as we receive your funds we use them to go and purchase your event tickets from the various companies who run the events. This means we are unable to refund you any money you have given us. Do I need to print my e-ticket off or can I have it saved on my phone? Either a print out or it being saved to your phone is fine. What happens if I lose one of my tickets? All tickets can easily be replaced... with the exception of your MCP ticket. So please take good care of it! When do I get my revolution- VIP wristband and where can I use it?